Provide comfort for the family of Heather Ermine with a meaningful gesture of sympathy. 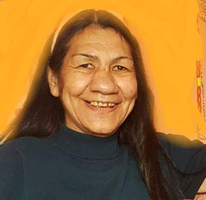 It is with great sadness that we announce the passing of Heather Ermine, late of Prince Albert, SK, on March 5, 2019 at the age of 59 years. A Wake Service will commence on Wednesday & Thursday March 6-7, 2019 at 5:00PM located at the Sturgeon Lake Community Center in Sturgeon Lake, SK. A Funeral Service will follow on Friday March 8, 2019 at 1:00PM also located at the Sturgeon Lake Community Center in Sturgeon Lake, SK. Internment for Heather will take place following the Funeral Service at East End Cemetery in Sturgeon Lake, SK. To send flowers in memory of Heather Ermine, please visit our Heartfelt Sympathies Store.